Traditional sewer repairs left landscapes and properties littered with large holes and trenches that needed to be renovated after the sewer line job was completed, making the process far from desirable and extremely expensive. At NuFlow Oklahoma, we strive to keep our customers satisfied with our work and help them save money by avoiding these extra invasive steps and offering better solutions, and as a result, we make sure our customers in Moore and the surrounding communities are offered the highest quality sewer repair services we have available. Traditional sewer repair methods required large machinery to dig the trenches and perform the repairs, releasing toxic gases from both the equipment and the soil when it was excavated to expose the pipes. Because of its nature as an unsafe, time consuming method of repair, at NuFlow Oklahoma, we have moved away from employing this method in favor of more eco-friendly solutions that are faster and more efficient. 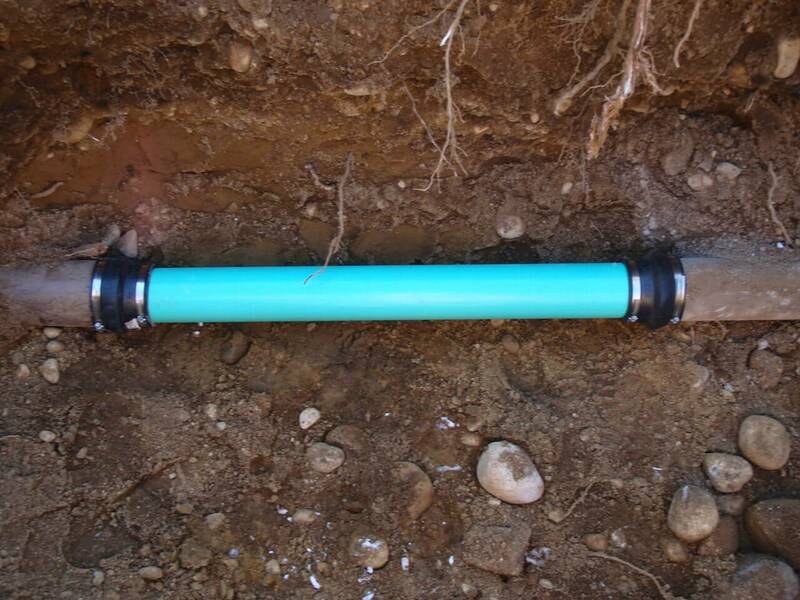 We either use an existing access point to access the pipe, or dig a small, minimally invasive hole to create the same result. We insert use an inflatable epoxy-filled tube into the pipe and expand it inside the damaged pipe, allowing the resin to be equally distributed along the pipeline walls. 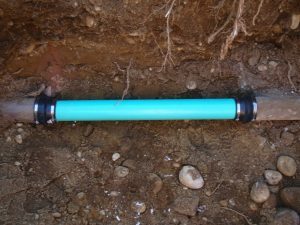 Once the epoxy hardens, the old pipe has been replaced with a new, durable pipe that has completely sealed away any cracks or leaks and functions far more efficiently than other pipeline materials because of its smooth nature. Our epoxy pipelines have a lifespan of at least fifty years or more, and are much cheaper to install and maintain as a result. Because the epoxy resin only takes a couple of hours to harden, the process of sewer repairs are faster than in the past, allowing your sewer system to resume functionality quickly and without long periods of delay or downtime. Our investments in trenchless technologies have made it possible for us to conduct sewer repairs in a timely fashion. At NuFlow Oklahoma, we take the time to create our own reliable machinery and equipment for performing repairs and ensuring that our work is accountable and efficient. We have years of experience performing sewer repairs, and we are well-versed in working in residential, commercial, and industrial buildings. Ever since our foundation, we have been intent on offering affordable, meaningful solutions for our customers and ensuring that the results we provide are accurate and long-lasting. We have employed the best technicians, materials, and machinery for maximum efficiency and quality of work. At NuFlow Oklahoma, we focus on building great customer relationships with all of our customers, ensuring that you can trust us with your sewer repairs every time. Not only do we focus on the speed of our repairs, but also the quality, ensuring that our work meets the high standards our customers and leaves behind excellent results that will last for many years. Call us today for more information regarding our sewer repair process and other services in the Moore area, and we will be happy to help you.